Katlyn “Blonde Fighter” Chookagian earned the first ever Cage Fury Fighting Championship’s (CFFC) women’s title with a dominant performance over the previously undefeated Isabelly Varella (7-1) this past Saturday at CFFC 55. Controlling the fight from the opening bell, the Kenilworth native had her way on the ground and the feet for five championship rounds improving her record to an unblemished 6-0. 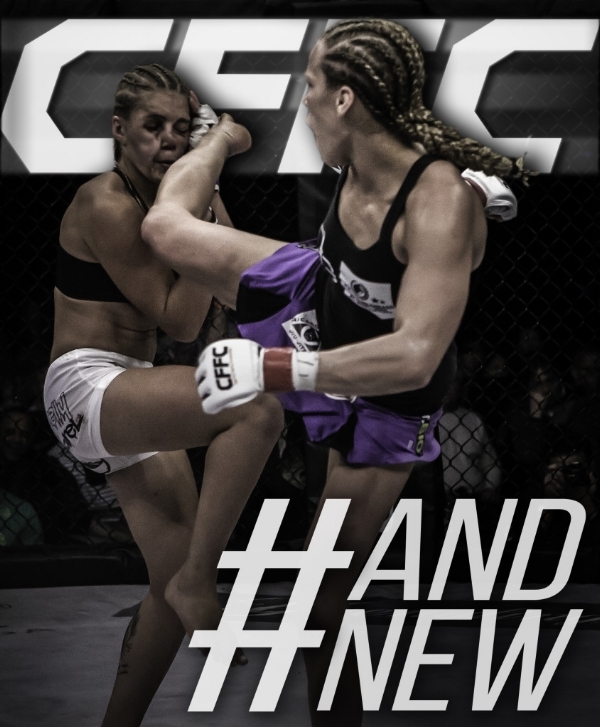 “I'm really excited about winning the first women's title for CFFC,” stated the newly crowned champion. “I'll feel like a real champ after I get to defend my belt. I just hope I can bring the attention to the women's flyweight division that it really deserves." “Katlyn is Frankie Edgar with a pony tail,” stated CFFC CEO Robert Haydak Jr. “She has incredible conditioning, high level striking and a ground game to match. She will be a household name as soon as the UFC adds the women's flyweight division. She is an amazing talent and extremely marketable. Isabelly showed a tremendous amount of heart and will no doubt be a champion herself in the near future." It’s only January and CFFC may have found an earlier fight of the year candidate when former CFFC heavyweight champion, Plinio Cruz (8-5) got the decision nod over fan favorite, “Bazooka” Joe Stripling (8-9). The heavyweights went toe-to-toe for three grueling rounds that had the fans on their feet for 15 minutes straight. While Cruz has the CFFC title in his sights, this fight was unfortunately the last fight for “Bazooka”. In other main card action, Bassil Hafez (1-0) of Philadelphia, PA started off his pro career with a submission armbar victory over another pro debut, Kendrick Mendez (0-1). Jordan Morales made his CFFC debut and improved his record to 5-1 with a split decision victory over Claudio Ledesma in a bantamweight affair. In preliminary action, Eric “Money” Mendiola made quick work of Andrew Salas (1-1), knocking out the Dante Rivera product in 52 seconds of the opening round. Mendiola is 2-0 with two knockouts in under a minute. Renzo Gracie Philly lightweight, Jahnson Jajoute (4-1) submitted James Jordan (5-2) in the third round and Tony Gravely (3-1) notched a decision victory over Dwayne Holman (3-5). "This weekend was filled with a lot of challenges,” continued Haydak referring to the loss of the scheduled main event title bout between Jeff Lenz and Bill Algeo on fight day. “I have said it over and over, our staff is the best. This weekend was a testament to our staff, fighters and fans coming together for an unforgettable two nights of fights. If this past weekend was an indication of what 2016 will bring, then I'm more motivated than ever before."